A century ago, historians served among the foremost of America’s political leaders. The American President, Theodore Roosevelt, was an amateur historian; two of his key allies in the Senate, Henry Cabot Lodge and Albert J. Beveridge, were or would become noted biographers; the man who would become his chief political rival, Woodrow Wilson, was a professional historian. But today, historians and academics are scare in the corridors of power. The last academic in recent memory to hold a Senate seat was the late Daniel Patrick Moynihan of New York. (Former college provost Tim Bishop currently holds a Congressional seat in Pennsylvania New York.) Nor have the voters been kind to recent scholars who have sought higher office; college administrators Betty Castor and Scott Matheson lost races in Florida and Utah, respectively, in 2004. There are few better ways for a historian to historically engage the modern day than to run for political office. ProgressiveHistorians believes that this nation could use a little erudition in the halls of state, and it applauds any and all history professors who attempt the crossing from the ivory tower to the Capitol Dome. Two such men have attempted to gain a political office this year. One, University of the Arts professor Chuck Pennacchio of Pennsylvania, raised next to no money and came in second in a primary that saw him narrowly edge a man who outspent him by $100,000. 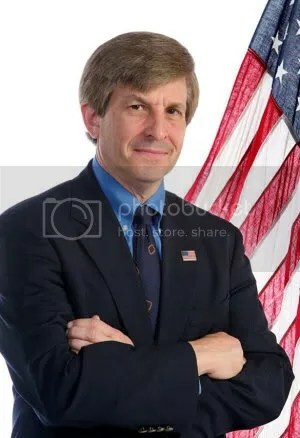 The other, American University professor Allan Lichtman, is waging a spirited campaign for Maryland’s open Senate seat. Lichtman’s campaign is well-organized, well-funded, and inspired by a true commitment to historical engagement and visionary leadership. For these reasons, Allan Lichtman merits the ProgressiveHistorians endorsement — the only one that will be handed out this year. Professor Lichtman’s books include Prejudice and Old Politics: The Presidential Election of 1928; Your Family History; Ecological Inference; and The Keys to the White House. He was named the 1992-1993 Scholar-Teacher of the Year, the university’s highest faculty honor, and has provided commentary for all major U.S. broadcasting networks and cable companies, the Voice of America, and many foreign broadcast companies, including BBC and CBC. He worked with Dan Rather as a CBS consultant during the impeachment of President Clinton, served as the 2004 election-night analyst for BBC Worldwide, and is now the political analyst for CNN Headline News. His more than 100 scholarly and popular articles have appeared in such journals and newspapers as the American Historical Review, the Proceedings of the National Academy of Sciences, the New York Times, and the Washington Post. He is also a columnist for the Montgomery Gazette and has served as an expert witness in more than 70 voting rights and redistricting cases. Lichtman is that rare historian who can use his knowledge for good while speaking like a real American. There’s no elitism about him. That might explain why he’s managed to raise an astounding $450,000, an immense sum for someone with an academic background. Or why the state is absolutely covered with Lichtman for Senate signs. Since announcing my candidacy for the United States Senate last September, I was the first Democratic U.S. Senate candidate to specifically propose and advocate a phased withdrawal of U.S. troops from Iraq, with specific goals and timetables. My original timetable, announced at my campaign kickoff on September 28, 2005, Ispecified that troops be withdrawn from Iraq no later than the end of 2006. The indictments of DeLay for laundering corporate contributions in Texas and of premier Republican lobbyist Jack Abramoff go far beyond the acts of individuals. They expose the systematic corruption of our government that began with the conservative Republican takeover of Congress in 1994. With their control of Congress, right-wing Republicans began shifting government away from preserving individual liberty and privacy, easing the unequal distribution of income and wealth, and meeting the needs of working- and middle-class Americans. They stopped doing the public’s business and instead began doing business for the private interests of legislators and their wealthy corporate clients. As you can see, Allan Lichtman is a both a historian and a public servant — and he is extraordinarily qualified to serve in both capacities. Don’t let this endorsement ring hollow — help out Lichtman any way you can. Contribute to his campaign (instead of to the site; I’d rather Allan see the money than me at this point). Sign up for his e-mail list and answer the campaign’s calls for volunteer assistance. Help him work the polls on Election Day. 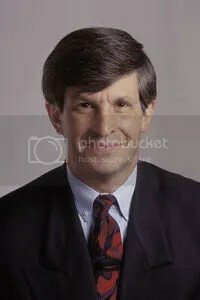 And if you live in Maryland, do what I’m going to do: support the cause of historians in politics and pull the lever for Allan Lichtman — a true inspiration for historians and Americans everywhere. This entry was posted on Saturday, October 6th, 2007 at 7:40 pm and is filed under Uncategorized. You can follow any responses to this entry through the RSS 2.0 feed. Responses are currently closed, but you can trackback from your own site.